“They convinced me it would pay off in ten years,” explains Paris, referring to Enerix, a Bavaria-based retailer offering solar systems and installation services. “After that, most of our electricity won’t cost us anything.” The investment, he says, is a hedge against rising energy costs. Moreover, the unit’s smart software enables the Parises to monitor the production, consumption, and storage of electricity, as well as track in real time the feed-in of power to the grid. The Parises are one of more than 120,000 German households and small-business owners — and an estimated 1 million people worldwide — who have dug deep into their pockets to invest in solar units with battery storage since lower-cost systems appeared on the market five years ago. “No one expected this kind of growth, so fast,” says Kai-Philipp Kairies, an expert on power generation and storage systems at the RWTH Aachen University in western Germany. Today, one out of every two orders for rooftop solar panels in Germany is sold with a battery storage system. The home furnishing company Ikea even offers installed solar packages that include storage capacity. Battery prices have plummeted so dramatically that Germany’s development bank has now scratched the battery rebates — covering about 30 percent of the cost — that it offered from 2013 to 2018. A lithium-iron-phosphate battery, which allows homeowners with photovoltaic panels to store excess solar electricity for later use. The budding popularity of solar panel and battery systems, driven by a drop in lithium-ion battery prices, has thrown a lifeline to Germany’s moribund solar sector, which has been reeling in recent years, in part because of low-cost production of solar panels in China. The progressive decline of feed-in tariffs — guaranteed remuneration for consumers supplying energy to the grid — also led to a sharp drop in solar energy deployment. “More and more people want to be independent of the power companies and rising prices,” says one executive. 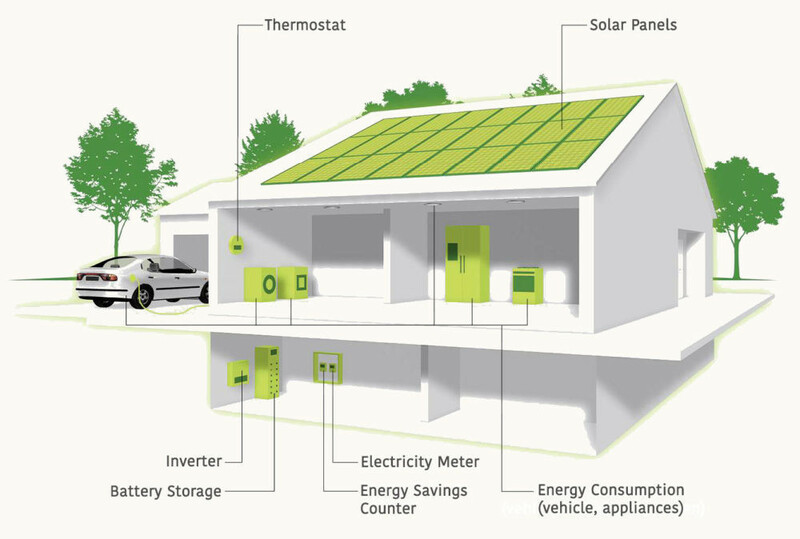 With smart home energy systems, energy generated by solar panels is stored in batteries and used to power appliances and charge electric vehicles. The boom-in-progress is in large part a consequence of spectacular advances in the performance of lithium-ion batteries — the standard type of battery found in most electric vehicles and cell phones. In laboratory conditions, technicians — who were working on improving electric vehicle batteries, not home storage units — increased the lithium-ion battery’s density by tweaking the conductors and the chemicals, which doubled storage capacity. This sent the price of storage, measured per watt hour, plummeting by half. Solar panels, too, are cheaper than ever before, although their decades-long price decline has leveled off. “In order to hit the Paris goals we need 10 million [home batteries] in Germany alone,” says one researcher. Tech Tuesday: Could solar energy become cheaper? How can we improve solar energy efficiency? Others, like Stefano Passerini, director of the Helmholtz Institute in Ulm, a battery research center in Germany, says the next generation of small-scale storage will be sodium-ion batteries, which, unlike lithium batteries, don’t require cobalt, a mined chemical element that is ever-harder to find. “Since home batteries can be larger than EV batteries, we should conserve the cobalt that’s available for cars, and go a different way with home storage,” he says. The clean-energy pioneer EWS Schönauis developing environmentally friendly batteries, such as largely recyclable saltwater batteries that contain neither carcinogenic heavy metals nor scarce minerals. 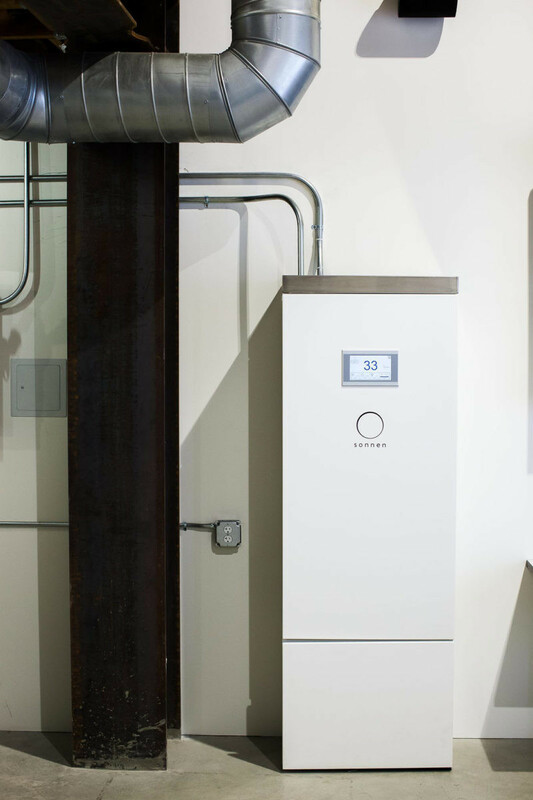 Regardless of the type of battery, home energy storage units can help smooth out fluctuations in electricity production, a function known as “balancing.” When the grid is flush with power, for example, grid operators can pay battery owners — even ones with no solar array attached to them — to store the excess for them. When the grid needs power, home and car batteries can feed energy into the grid. Experts say balancing is critical to the larger project of a low-carbon world. 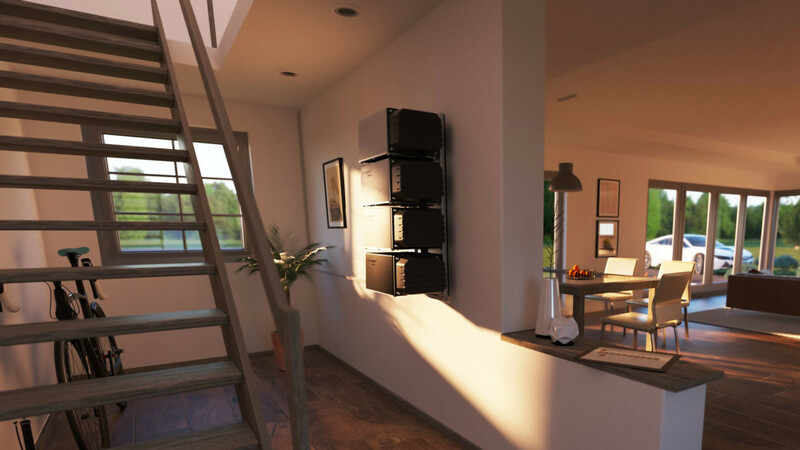 Solarwatt’s MyReserve battery storage system, seen here on the wall, is modular, allowing it to be customized for individual households or large businesses. This article was originally published by Yale Environment 360.